Thank you very much for share this! lol, what does shinpachi have? Very cool! Awesome! Thanks so much! Ah poor Shinpachi, does your fortune say average guy living an ordinary life and unrequited love? xDD sugoi to kawai aru! Poor Shinpachi... no one else have even bothered to comment yet? lol i love kagura! THanks for sharing! 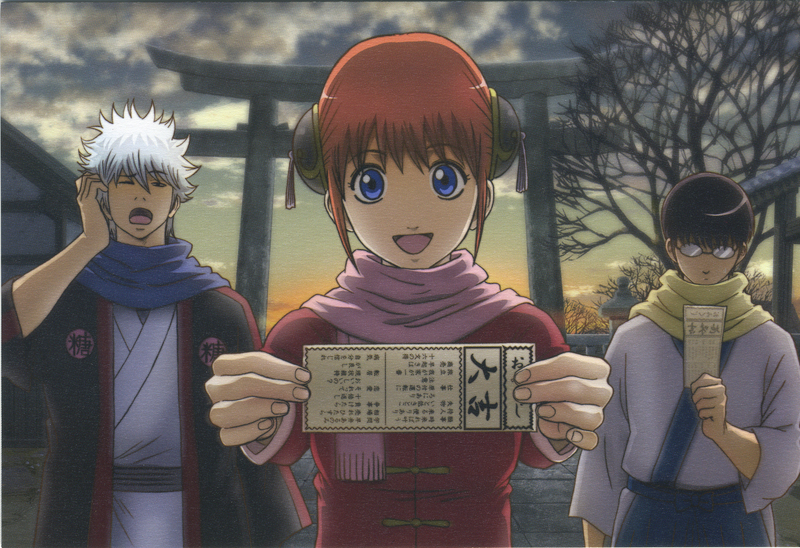 Kagura is so cute! I love this pic. Thank you.